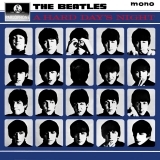 "Every inch of sky's got a star, Every inch of skin's got a scar"
A Hard Day's Night is ranked 9th best out of 65 albums by The Beatles on BestEverAlbums.com. The best album by The Beatles is Abbey Road which is ranked number 3 in the list of all-time albums with a total rank score of 149,645. Members who like this album also like: Revolver by The Beatles, Abbey Road by The Beatles and Rubber Soul by The Beatles. The National, Richmond, United States. 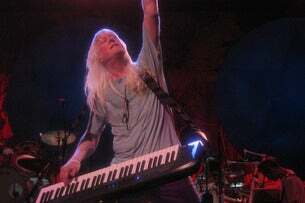 The Norva, Norfolk, United States. Old School Square Pavilion, Delray Beach, United States. The tracks on this album have an average rating of 83 out of 100 (all tracks have been rated). Related links: top tracks by The Beatlestop tracks of the 1960s, top tracks of 1964. Showing latest 5 ratings for this album. | Show all 1,459 ratings for this album. Related links: top albums of the 1960s, top albums of 1964. A joy to listen to from start to finish. Top Tracks: "I Should Have Known Better", "I'm Happy Just to Dance With You", "And I Love Her"
Although I prefer the more psychedelic harder edged albums, I really like this album as a true early pop album capturing the Beatles at their most simple pop creative. There are several absolute classics on this album, the tile track, 'You Can't Buy Me Love', 'And I Love Her', 'I'll Be Back' to name check but a few. O máximo das massas! O auge da Beatlemania! Quite simply-perfect pop music. The Beatles at their very best as a simple pop group. The music is so full of joy and life it’s infectious. No wonder Beatlemania conquered the world with songs this good. It’s mainly John Lennon’s album, but Paul’s contributions are also excellent. It’s the only Beatles album on which all the songs were written by Lennnon & McCartney. A classic. In my opinion, The Beatles have one of the most overrated albums of all time in Sgt peppers, and one of the most underrated, this masterpiece. One of the best pure pop records ever made. On a more modest note,I can't fathom how this album is ranked below Help! This was the first album that I got really attached to, so my rating may always be a little biased. It's a really easy listen. Simple yet effective work. A well crafted pop record. Don't know why, but this album does not get me as much as their others on the early fase. It has some great songs here and there, but the rest of it doesn't get me like in the other albums. "And I love Her" still stands though as one of their best songs on beatlemania, and a beatiful composition by Paul. Lots of great songs on here. Best pre-Rubber Soul Beatles' album in my opinion.